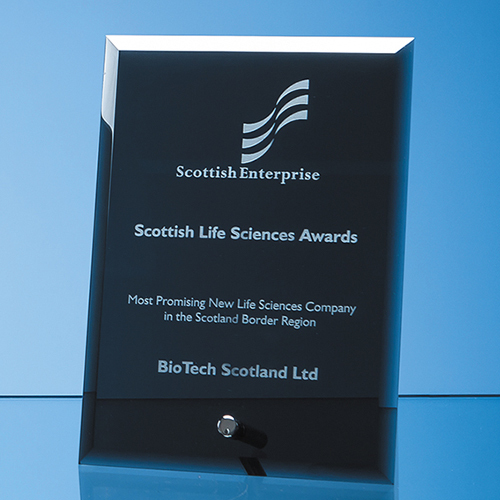 This deluxe 18cm x 12.5cm smoked black glass plaque is perfect to recognise an achievement at work or as a special award. Highly polished with smooth bevelled edges there is a chrome standing pin so that it can be displayed on a shelf or desk. There is a generous engraving space to include a logo, dedication or inscription which will have additional stand-out if embellished with silver or gold pigment (please ask about this when ordering).